Our exceptional, friendly staff is our greatest asset. Our dental assistants are licensed professionals who pride themselves on staying on the cutting edge of dentistry and patient communication. They are excited about what they are doing, have high standards of quality and integrity, and are motivated to achieve the best results for our family of patients. Dr. Seth graduated from one of the nations top dental schools, the University of Southern California in 1999 in the top of her class. There she trained with world renowned cosmetic dentists and honed her cosmetic skills. Dr. Seth is committed to excellence in dentistry and takes a lot of continuing education classes to keep up to date with all the latest technology in dentistry. She is one of the few dentists to offer Soft Tissue Laser therapy to her patients. Her love of dentistry led her to learn orthodontics so she can provide comprehensive dental care as a general dentist. Dr. Seth lives in Irvine with her husband and two children. She enjoys spending her time reading, hiking, bike riding and traveling. Alejandra has been in the dental field for over 10 years and brings with a her a deep and vast understanding of dentistry. She is an expert in all insurance matters and billing. She also has expertise in coordinating specialty dental care. She started out as a dental assistant 10 years ago and soon found her passion in managing the office and interacting with people. With a smile always on her face she has proved herself invaluable to Seth Dental Care. She is bilingual and is fluent in English and Spanish. She is happily married with two beautiful children. 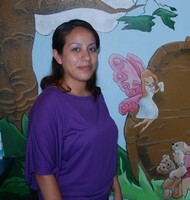 Juana is caring , efficient and has a record of perfect attendance in our office!! 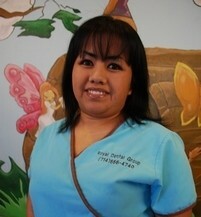 She has been a dental assistant for 7 years has been with us for the last 5 years. Before that she was training to be a medical assistant when she found her true passion in the dental field. She is bilingual and is fluent in English and Spanish. She is married and has one beautiful daughter. Ariana has been a dental assistant since 2009 and has proven herself to be hardworking, meticulous and always eager to learn. She graduated from the prestigious Concorde Career College in the top of her class. She is the recipient of the prestigious Julliet Southard Award that is awarded to one outstanding dental assistants of the graduating class. She is a certified dental assistant and x- ray technician. She also has a record of perfect attendance! In her quest to continue learning she is currently taking her exams to become a registered dental assistant. Her goal is to eventually become a dental hygienist. She moved to Orange County from Nevada a few years ago and in her spare time likes to watch movies, enjoys the beach and hiking. Very good customer service. Dr. Seth takes her time to explain the procedures and any other treatments. What I love is that they allow you to make payments. Highly recommend this office. She did a fabulous job on my root canal. Gentle and sweet . I was a nervous mess but she made the experience better for me and was so kind. Dr. Seth is extremely personable and treats each client so respectfully. Her entire staff has always been friendly and professional in all interactions. No matter the procedure, she explains what will be happening and makes me feel comfortable and at ease. I highly recommend Dr. Seth as your personal dentist.